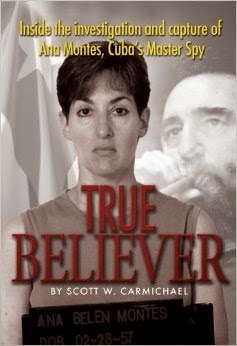 Brian Latell, author of Castro's Secrets: Cuban Intelligence, the CIA, and the Assassination of John F. Kennedy, offers new revelations about convicted Cuban spy Ava Montes in a piece for the Miami Herald. Despite the importance of her case, some of the most tantalizing questions about her spying have never been publicly answered. Could the calamity of her treason have been avoided? What was learned about Cuban intelligence tradecraft? How was she discovered? And, of enduring concern, did she work with other American spies thus far undetected or not prosecuted?